Iodine is used by your thyroid gland to help regulate metabolism and development of both your skeleton and brain, among other things. But how much iodine do you need, really? There's quite a bit of contention on this issue. Some, like Dr. Flechas insists severe iodine deficiency is rampant, while others claim this is not the case at all, and that taking higher doses of iodine can be harmful. I don't proclaim to have the answer to this question... There's no doubt you need iodine. But it's difficult to say precisely how much. I suspect the dosages recommended by Dr. Flechas, Dr. Brownstein, and others, may be too high, so I would encourage you to do your own research, and adopt a sensible, middle-of-the-road approach when it comes to iodine. I also want to clarify the difference between Iodine and Iodide. Iodine is the molecule that is taken up by cells in the body. However, Iodine is a gas and is not very available in food and supplements. Instead, it is the iodide form that is more stable and can be consumed. In the body, Iodide converted into Iodine which is the active form. Why Is Hypothyroidism More Prevalent in Women than Men? There is simply no question that optimizing your iodine levels is essential for thyroid health. Hypothyroidism disproportionately affects women at a rate of about 9 to 1 in the US. The reason for this is that the female hormone estrogen inhibits the absorption of iodine. According to Dr. Flechas, hypothyroidism is associated with up to 80-90 percent free estrogen levels, compared to the normal value of 40-60 percent free estrogen. Hyperthyroidism is associated with only 20 percent free estrogen levels, and low iodine intake can lead to a hyperestrogenic state. In his lecture, Dr. Flechas explains the interplaying dynamics of estrogen, thyroid hormones, and iodine at greater depth, so for more information, please set aside 40 minutes to watch the video above. How Much Iodine Does Your Body Need? According to Dr. Flechas, researchers have determined that the average dietary intake of iodine for Japanese women is 13.8 milligrams (mg) per day. He recommends 12.5 mg/day, especially for his pregnant patients to optimize their child's intelligence. He shares a couple of success stories in his lecture, where iodine supplementation at higher doses resulted in children with remarkably advanced intelligence. Hypothyroidism, which is one of the first ailments to develop in response to iodine deficiency, is indeed particularly troublesome during pregnancy. One 1999 study found that thyroid deficiency during pregnancy can lower your child's IQ by about seven points. The researchers noted that for the first 12 weeks of pregnancy, before the unborn child's thyroid becomes active, the mother is the sole source of thyroid hormones. Studies suggest that these hormones play an important role in brain development. Overall, compared with other children, the offspring of thyroid-deficient mothers had impaired school performance and lower scores on tests of attention, language, and visual-motor performance. But pregnant women aren't the only ones who need to be concerned with the iodine content of their diet. According to Dr. Flechas, your thyroid alone needs about 6 mg of iodine per day; the breasts of a 110-pound woman will need about 5 mg/day (larger women or women with larger breasts need more); and other body tissues, such as your adrenals, thymus, ovaries, hypothalamus, and pituitary gland, need about 2 mg/day. Although he makes a compelling argument, I am not yet convinced that such large amounts may be necessary. Dr. Brownstein and others would label this as iodinophobia, but I believe caution may be appropriate here before swallowing mg amounts of iodine on a regular basis. Personally, I am not yet convinced and do not take such high doses in supplemental form. However, this RDA was set with the intention to prevent goiter only. Dr. Flechas makes a compelling argument for it being completely insufficient for overall physical health and prevention of diseases such as thyroid disease, fibromyalgia, and cancer. Iodine actually induces apoptosis, meaning it causes cancer cells to self destruct. Dr. Flechas is adamant that absence of iodine in a cell is what causes cancer, and statistics tend to support this view. In his lecture, he shows the results of a number of NHANES surveys. Could High-Dose Iodine Be Dangerous? As I mentioned at the beginning, while Dr. Flechas provides very compelling arguments for using doses as high as 12.5 milligrams (mg) per day, which is a far cry from the RDA of 150 micrograms (mcg), I'm hesitant to make such a recommendation. I think the jury is still out, and we need more research to determine the health effects of too much iodine. As reported by Reuters at the beginning of this year1, a recently published study has cast some doubts on high-dose iodine supplementation. The study, published December 28, 2011 in the American Journal of Clinical Nutrition2, randomly assigned one of 12 different dosages of iodine (ranging from 0 to 2,000 mcg/day) to healthy adults for four weeks. When diet was factored in, those taking 400 mcg/day were receiving a total of about 800 mcg of iodine per day. At doses at and above 400 mcg of supplemented iodine per day, some of the study participants developed subclinical hypothyroidism, which appeared to be dose dependent. At 400 mcg/day, five percent developed subclinical hypothyroidism; at the highest dose—2,000 mcg/day—47 percent of participants were thus affected. 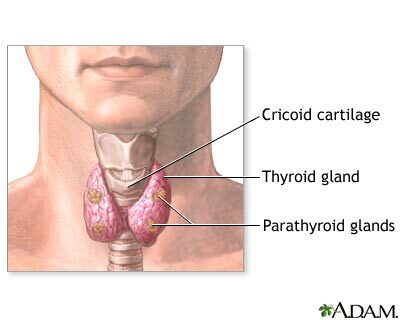 Subclinical hypothyroidism refers to a reduction in thyroid hormone levels that is not sufficient to produce obvious symptoms of hypothyroidism (such as fatigue, dry skin, depression or weight gain, just to mention a few common tell-tale signs). So, these findings suggest it might not be wise to get more than about 800 mcg of iodine per day, and supplementing with as much as 12-13 mg (12,000-13,000 mcg's) could potentially have some adverse health effects. Docosahexaenoic acid, or DHA, is an essential structural component of both your brain and retina. Approximately 60 percent of your brain is composed of fats—25 percent of which is DHA. DHA is also an essential structural ingredient of breast milk, which is believed to be a major reason why breastfed babies consistently score higher on IQ tests than formula-fed babies. Omega-3 fats such as DHA are considered essential because your body cannot produce it, and must get it from your daily diet. DHA-rich foods include fish, liver, and brain—all of which are no longer consumed in great amounts by most Americans. To compensate for our inherently low omega-3 diet, a high quality animal-based omega-3 supplement is something that I recommend for virtually everyone, especially if you're pregnant. I prefer krill oil to fish oil, as there's compelling evidence demonstrating its superiority. Most of the DHA needed for brain and nervous system development is transferred from the mother to the fetus during the last trimester. The DHA content in the mother's diet reflects in the amount of DHA passed on to the baby. DHA levels of premature infants are especially low since they miss much of that last trimester. Preemies are also more likely to be bottle-fed, hence missing out on valuable DHA from their mother's breast milk. While you can now find infant formula that contains added DHA, I don't believe it's anywhere near comparable to the DHA found in breast milk. Studies show that low DHA intake in infancy can lead or contribute to Attention Deficit Disorder (ADD) and Attention Deficit Hyperactivity Disorder (ADHD). Low DHA levels have also been linked to increased risk of suicide and dementia. While there are both plant and animal sources for omega-3 fats, there are differences between them, and when it comes to protecting brain function, you need the animal-based version. There are three important omega-3 fatty acids—ALA, EPA and DHA. DHA is the most important for your brain. EPA is also required by your brain, but in smaller amounts. Plant-based omega-3 sources like flax, hemp and chia seeds are high in ALA, but low in EPA and DHA. Although ALA is an essential nutrient, the key point to remember is that the conversion of ALA to the far more essential EPA and DHA is typically quite inhibited by impaired delta 6 desaturase, an enzyme necessary for you to convert the ALA into the longer chain EPA and DHA. Because of this, it is important to include animal-based sources of omega-3 fats, such as krill oil, in your diet. In more recent years, rampant vitamin D deficiency has been linked to a proportionate jump in autism. While the connection may not be obvious, it's important to realize that vitamin D receptors appears in a wide variety of brain tissue during early fetal development, and activated vitamin D receptors increase nerve growth in your brain. Researchers have also located metabolic pathways for vitamin D in the hippocampus and cerebellum of the brain, areas that are involved in planning, processing of information, and the formation of new memories. The National Institutes of Mental Health recently concluded that it is vital that the mother get enough vitamin D while pregnant in order for the baby's brain to develop properly. The child must also get enough vitamin D after birth for "normal" brain functioning. Appropriate sun exposure would take care of these issues, as the sun is irreplaceable when it comes to the body's ability to produce adequate amounts of vitamin D.
Vitamin D deficiency is also associated with depression. In 2006, scientists evaluated the effects of vitamin D on the mental health of 80 elderly patients and found those with the lowest levels of vitamin D were 11 times more prone to be depressedthan those who received healthy doses. More recently, researchers found that intake of more than 400 IU of vitamin D from food sources was associated with a 20 percent lower risk of depressive symptoms compared with intake of less than 100 IU. This was a significant benefit from a very small amount of vitamin D -- as 400 IU is far too low to benefit most people. It now appears as though most adults need about 8,000 IU's of vitamin D a day in order to get their serum levels above 40 ng/ml, which is the lowest they should be. Ideally your serum levels should be between 50-70 ng/ml, and up to 100 ng/ml to treat cancer and heart disease. However, it's important to realize that there's no magic dosage when it comes to vitamin D. What's important is your serum level, so you need to get your vitamin D levels tested to make sure you're staying within the optimal and therapeutic ranges as indicated below. Reduction in lipid contentDamage to the purkinje cellsExacerbation of lesions induced by iodine deficiency. Accumulation of fluoride in the pineal glandFluoride can also increase manganese absorption, compounding problems since manganese in drinking water has also been linked to lower IQ in children. One of the most recent studies into the effects of water fluoridation on intellectual performance, published in December 20105, found that about 28 percent of children in the low-fluoride study area scored as "bright, normal or higher intelligence" compared to only 8 percent in the high-fluoride area. Further, 15 percent of children in the high-fluoride city had signs of mental retardation, compared with only 6 percent in the low-fluoride city. Most alarmingly, some of these brain-damaging effects have been observed even at low levels of exposure, such as 1 part per million (ppm) of fluoride in water, which is right around the levels used in US water fluoridation programs, which range from 0.7-1.2 ppm. The presence of, and continual exposure to, toxins is another important factor that can have profound influence on your child's IQ—both in utero and after birth. According to Dr. Natasha Campbell-McBride, neurological problems such as autism and learning disorders are caused by toxic overload, stemming from abnormal gut flora. Children use all of their sensory organs to collect information from their environment, which is then passed to the brain for processing. This is a fundamental part of learning. However, in children with Gut and Psychology Syndrome (GAPS), the toxicity flowing from their gut throughout their bodies and into their brains, clogs the brain with toxicity, preventing it from performing its normal function and process sensory information. GAPS may manifest as a conglomerate of symptoms that can fit the diagnosis of autism, attention deficit hyperactivity disorder (ADHD), attention deficit disorder (ADD) without hyperactivity, dyslexia, dyspraxia, or obsessive-compulsive disorder, just to name a few possibilities. The treatment she developed is called the GAPS Nutritional Program, which covers both diet and detoxification. Fermented foods are a staple of the GAPS diet. The beneficial bacteria in these foods are very potent detoxifiers, capable of drawing a wide range of toxins and heavy metals out of your body. According to Dr. McBride, the GAPS Nutritional Protocol restores the natural detoxification system in about 90 percent of people, and the fermented/cultured foods are instrumental in this self-healing process. "The cell wall [of the bacteria] have chelators; molecules that grab hold of mercury, lead, aluminum, arsenate, and anything else toxic," Dr. McBride explains. "They hold them until they're removed through stool." You don't need to consume huge amounts. About a quarter to a half a cup of fermented vegetables, or cultured food such as raw yoghurt, per day, is sufficient. The key is variety. The greater the variety of fermented and cultured foods you include in your diet, the better, as each food will inoculate your gut with a variety of different microorganisms. Fortunately, most of these factors are largely, or entirely, within your control. For even more healthy pregnancy tips, please see this previous article.